The LGBTQIA+ community faces a unique and specific set of circumstances that can lead to a variety of long-term psychological health issues. Lack of acceptance from their loved ones, constant anxiety over social judgment, depression stemming from the internalization of the toxic and misinformed perceptions of others, fear of bodily harm, and multiple other factors can take a tremendous emotional toll and often lead members of the community to self-medicate with drugs and alcohol. 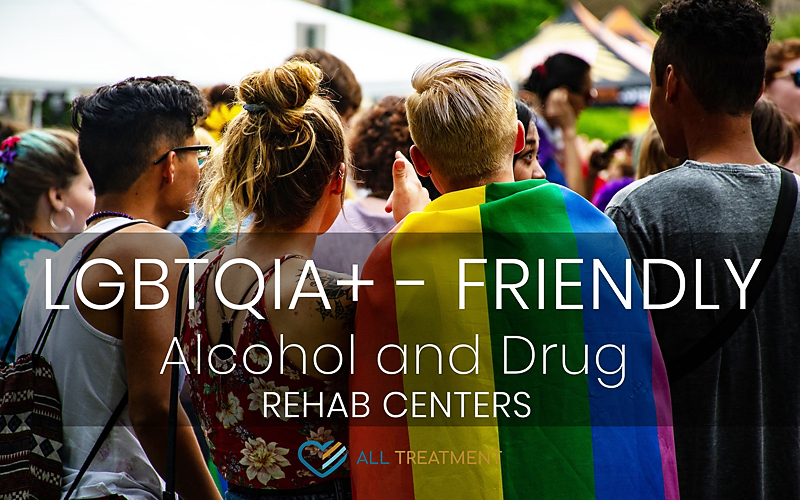 As the addiction treatment community and the world at large gain a better understanding of the distinct struggles that this population faces, more and more facilities are offering LGBTQIA+-friendly alcohol and drug rehab centers. LGBTQIA+ stands for “lesbian, gay, bisexual, transgender, queer, intersex, asexual/ally,” a community that doesn’t conform to the traditional sexual or gender-related paradigms of current culture. Within each category/letter are multiple variations of that specific population, as the community strives to be as inclusive as possible. As modern sexuality and gender-identity conversation has progressed, more and more nontraditional populations have become emboldened to coalesce under this banner to offer support, activism, insights, and more. While society has made marked strides toward accepting and embracing the LGBTQIA+ community, many if not most members of this population encounter marginalization on a daily basis, which can lead to a lifetime of emotional health issues. Research from UCLA’s Williams Institute reveals that the current population of Americans who identify as LGBT is over nine million. The Substance Abuse and Mental Health Services Administration (SAMHSA) reports that members of the LGBTQIA+ community were more than twice as likely as heterosexual adults to have used any illicit drug in the past year. Nearly a third of sexual minority adults used marijuana in the past year, compared to 13 percent of heterosexual adults, and about one in ten misused prescription pain relievers, compared to 4.5 percent of heterosexual adults. 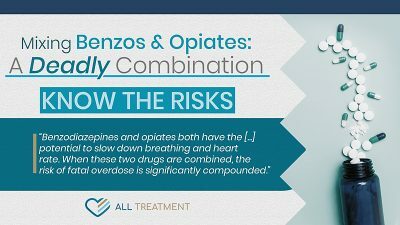 Other common drugs of choice within the LGBTQIA+ community include meth, ecstasy, heroin, cocaine, and many others. The National Institute on Drug Abuse reports that LGBTQIA+ adults have a greater risk of substance use disorder than heterosexual adults and that they often enter treatment with more severe issues. Data from the Centers for Disease Control and Prevention (CDC) reveals that LGBTQIA+ adults are more likely to engage in binge drinking than heterosexual populations. This alarming disparity means that LGBTQIA+ members are also more vulnerable to overdose than the heterosexual or gender-conforming population. While many members of the LGBTQIA+ community develop substance use disorder via circumstances completely unrelated to issues related to sexuality and gender identity, others are able to trace a direct path to the origins of their drug or alcohol use from the oppression, discrimination, and marginalization they encountered as a result of their orientation. These issues often start very young and can lead to a pattern of internalization and emotional struggle. LGBTQIA teens may be twice as likely to be bullied, excluded, or assaulted at school. LGBTQIA teens are nearly 40 percent less likely to have an adult in their family to whom they can turn. Up to 40 percent of unaccompanied homeless youth (teens and young adults who are on their own rather than part of a homeless family) are LGBTQIA. Fewer LGBTQIA teens than non-LGBTQIA teens feel supported by the adults at their schools, but those who do are no more likely than non-LGBTQIA peers to use substances. The importance of support, family involvement, positive reinforcement, and enlightened acceptance cannot be overstated. While the treatment industry is working toward developing more intuitive behavioral modalities to effectively target and treat issues that lead to addiction among the LGBTQIA community, there remain significant cultural and institutional roadblocks to this endeavor. For one thing, the idea of gay drug and alcohol rehab or gay addiction treatment centers is a relatively new concept within the current treatment landscape. For another, there exists a documented administrative firewall that prevents many members of the LGBTQIA+ community from getting the help they need. Between discrimination in health care, lack of adequately intuitive treatment resources, and the shame and stigma that many addicted members of this community feel, there is a vast and deep disconnect between the need and supply for care. Data from the Center for American Progress indicates that LGBTQIA+ people of color are twice as likely to avoid doctors than white people within the community. Another study published last year in JAMA Internal Medicine indicated that only 16 percent of LGBT patients choose to inform their doctor of their sexual orientation. And while data on addiction treatment outcomes for LGBTQIA+ is rare and difficult to access given the lack of research, one recent study suggests that outcomes are comparable to sexual majority adults. SAMHSA reports that among adults who needed substance use treatment, sexual minority adults were more likely than their sexual majority counterparts to receive substance use treatment at a specialty facility. This suggests a unique and specific receptiveness to treatment as a whole. Unfortunately, fewer than eight percent of treatment facilities actually offer specialized care resources for the LGBTQIA+ community, according to the National Institute on Drug Abuse (NIDA). The good news is that, with increased community mobilization and more and more attention being paid to this issue, more and more LGBTQIA+-oriented treatment centers are opening. These facilities address the specific behavioral and psychological needs of patients within the community and work with them to discover what, if any, role their orientation played in their substance use. Patients work with experienced and qualified professionals to assess the impact that their sexuality and gender-related issues had in their lives and to develop behavioral techniques that allow them to cope with past trauma without having to rely on drugs or alcohol. These facilities offer inpatient and outpatient rehab options depending on the patient’s level of substance use and their care needs. Therapists at these facilities are trained in the unique and specific issues that many within the LGBTQIA+ face in various areas of their lives. Many also offer treatment for co-occurring mental health issues commonly faced by the community, including depression, anxiety, PTSD, and more. As is the case with any treatment center, it’s important to do some research and find out critical information prior to enrolling in one of these care programs. Will my therapist be a man or a woman? What is your level of experience with LGBTQIA+ patients? If I’m transitioning, will I be able to continue my hormone therapy in treatment? Will the gender with which I identify be respected in a clinical capacity? For residential treatment, what are the sleeping arrangements? Intake specialists at your prospective facility will be glad to answer any of these questions and more, prior to your enrollment. It also helps to have a friend or a loved one help with this research. The LGBTQIA+ community has had to face considerable discrimination and marginalization in practically every area of society, from peripheral areas such as media and pop culture to vital health and quality-of-life areas such as healthcare and education. As the community becomes increasingly empowered, more and more resources are being put in place to help this population. If you or a loved one is a member of the LGBTQIA+ community and you need addiction treatment, don’t let shame, stigma, or frustration stop you from getting the critical help you need and deserve.